Have you ever searched on Google for things like ‘Cakeshop near me’ or ‘Mechanic near me’? What were you seen? Yes, you are right. The search result shows the map directions what all the shops are available in your surrounding. Then you are choosing a vendor and go to them. When users search for such keywords, they are searching with a buyer’s intent. With the help of local search optimization, you can be a part of this last, which also gives your business some credibility. Local SEO helps in generating a tremendous amount of lead. It can bring in more business especially when it is within reach for people who are searching for their immediate needs. It gives them instant fulfilment. When users search for your business name on Google, they see a list of websites or look at your information display prominently on the right-hand side of the search results. This means Knowledge Graph. Your business information will appear in the knowledge graph when you have a correctly created, verified listing on Google My Business. Registering your company or service in Google listing is the preliminary step to Local Search Optimization. By ensuring that your phone number and website links are included in your Google Business listing, you will make it easier for users to get in touch with you to research you further. It is also essential for your business name, website and phone number to be accurately and consistently published on the myriad of online directories where your business information may be published. 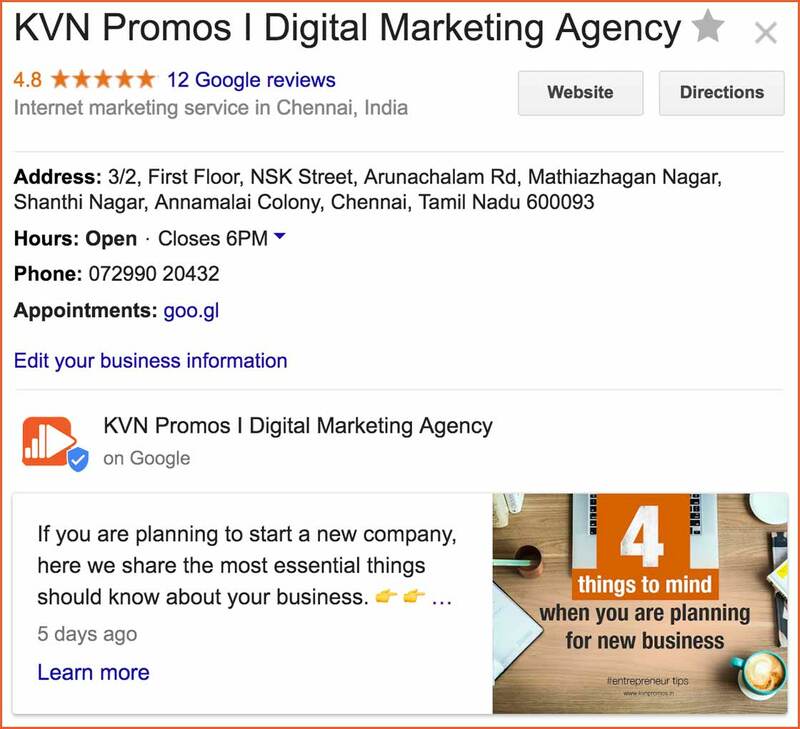 A verified Google Business listing can be connected to your Google AdWords campaign. By connecting the two, you can improve the effectiveness of your ad campaign by using location extensions. This is especially important for a business that wants to drive foot traffic. Location extension allows ads to display your address and also show nearby searchers their distance from your business with a link to get directions. Imagine that you are a Coffee shop in the specific area. When a user searches for Coffee shops nearby from your area using their smartphone, your ad shows up with your shop name, ad copy and the user’s distance from the store. They can quickly tap the call button or the get directions button. This is great for user experience and translates into more visitors to your shop. Along with rankings, review management is the other half of local search optimization. A favourable review profile on Google, Facebook, etc… can impact rankings. But more importantly, a positive review profile helps you to get an edge over your competition. Google started testing new filters on the map wherein users can filter results based on ratings or hours of operation. All of these benefits allow for small businesses to become established in an area where they will most likely see enough traffic to produce business from their online efforts. which allows them to readily be on their way to developing an online presence as large as they require. That means it makes sense that small businesses should try investing in local search engine optimization before trying to tackle the global market. Don’t have the Google listing? Click here to start. Why should hospital need ODM? Increased Sales through effective Videos!